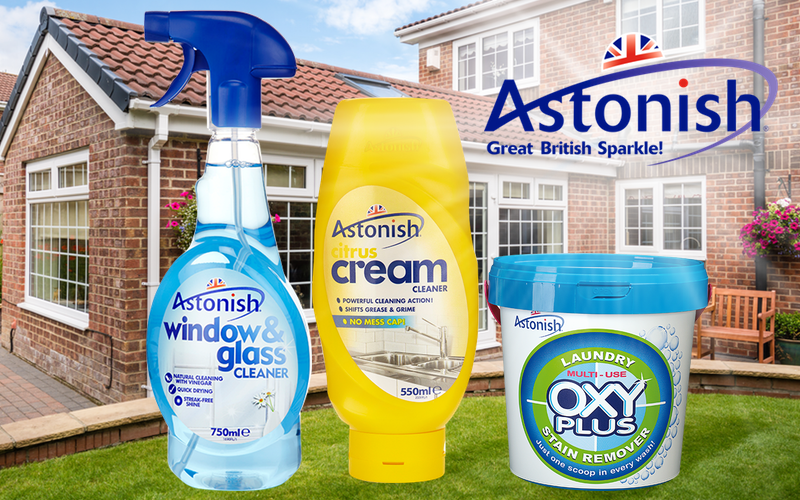 Win an outdoor cleaning kit from Astonish! Make your home sparkle outside as well as in with an Astonish outdoor cleaning kit that is sure to get your home blossoming just like those spring bulbs. Improving your homes curb appeal, this astonishing kit especially for your little garden of oasis, will get your windows, frames, doors and garden furniture primped and pruned in time for summer fun and lazy days in the sun! Inside the pack, you’ll find the Window and Glass Cleaner to help you achieve crystal clear windows that sparkle; the Citrus Cream Cleaner that will remove the muck from uPVC window frames; and the Oxy Plus Stain Remover - the perfect product to give your patio a good scrub! With your garden looking blooming lovely, you’ll be ready to enjoy the warmer months that lie ahead.